Window treatments need routine care and maintenance. Cleaning keeps blinds looking fresh and helps them to maintain their decorative look. The most diligent housekeeping can't stop blinds from turning yellow, though. Even with a protective UV coating, the sun's harmful rays will still cause damage to your blinds. Even worse, most of the discoloration from the sun is permanent. Still, with proper care and maintenance, you can slow the yellowing process. Why Do Blinds Turn Yellow in the Sun? Blinds protect us from the elements. They block out the light when we're sleeping and ease the sun's harsh brightness during the hottest time of the day. Sheltering us from the sun takes a toll on the blinds. Like any armor, this protection wears thin. Over time, exposure to the sun's UV rays breaks down any protective coating. Without this safeguard, the blinds lose their original color and turn yellow. There is no real solution to the yellowing blinds problem. Still, with regular cleaning, you might be able to prevent the blinds from getting too far gone. Sun-yellowed blinds that are dirty can look even more discolored. Dust, grime and cigarette smoke also cause stains. Giving blinds a routine washing helps remove the staining that comes from indoor pollution. Although this doesn't solve the sun problem, it does keep your blinds from looking yellow and dingy. 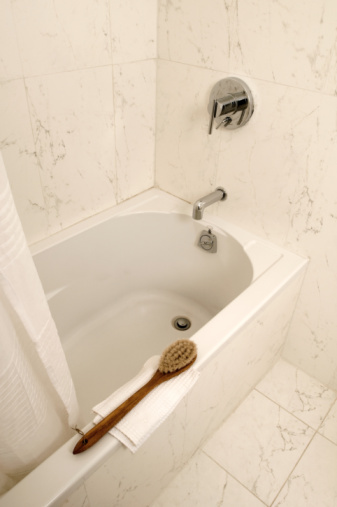 If plastic or aluminum blinds still have stains after routine cleaning, you can try a bleach bath. To do so, fill a bathtub with cold water and add 2 to 3 cups of bleach. Remove the blinds from your windows and place them in the bleach bath. Make sure to submerge every part of your blinds in the water and soak them for at least 10 minutes. When you're satisfied with the color of your blinds, remove them from the tub. Wipe them dry with a clean towel, taking care not to bend the slats. Hang the blinds back up in their proper places to finish drying in the air. 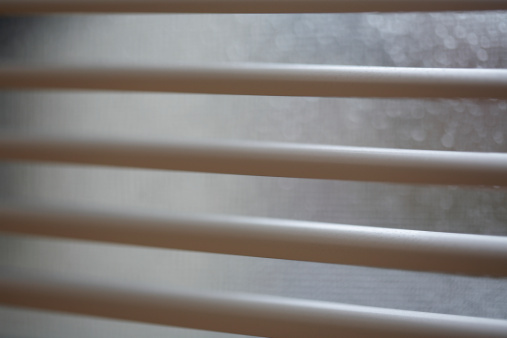 Bleach and detergent can damage wooden blinds. Rather than washing with soap, dust them often and wipe them with a damp sponge. The regular cleanings should help them to keep their color longer. Today's window treatment manufacturers finish blinds with a strong UV-resistant coating. This coating will still break down over time. With regular cleaning, the blinds will stay true to their original color longer. Do Window Blinds Damage Vinyl Window Frames?